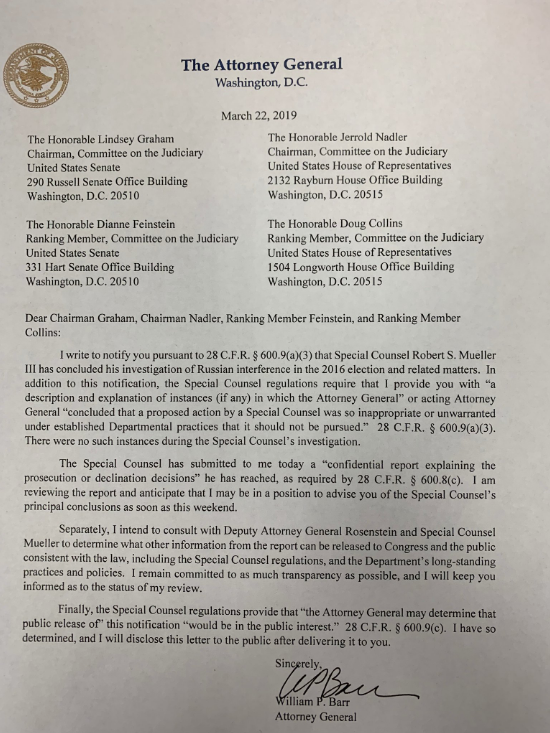 US Attorney General William Barr informed Congressional leaders that he’s received the conclusions of Mueller’s Russia investigation today. It’s not clear if it’s the full report or a “confidential report explaining the prosecution and declination decisions” he has reached. In any case, Barr told congress he may be able to reveal to them the report’s conclusions as soon as this weekend.